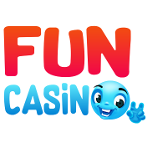 Sharpen your gambling skills at Fun Casino! Log into your account and make at least a minimum payment of 10 Pounds. You will receive 50% bonus up to £499. Don’t forget to contact support in order to get this deal. Use these funds to play your favourite games. Wager your bonus amount 50 times before making any withdrawals. Claim this amazing offer and enhance your experience right away!